Situated in Auckland, New Zealand, Bayleys recently moved into the new prestigious 6 story building at the heart of the harbourside Wynyard Quarter. 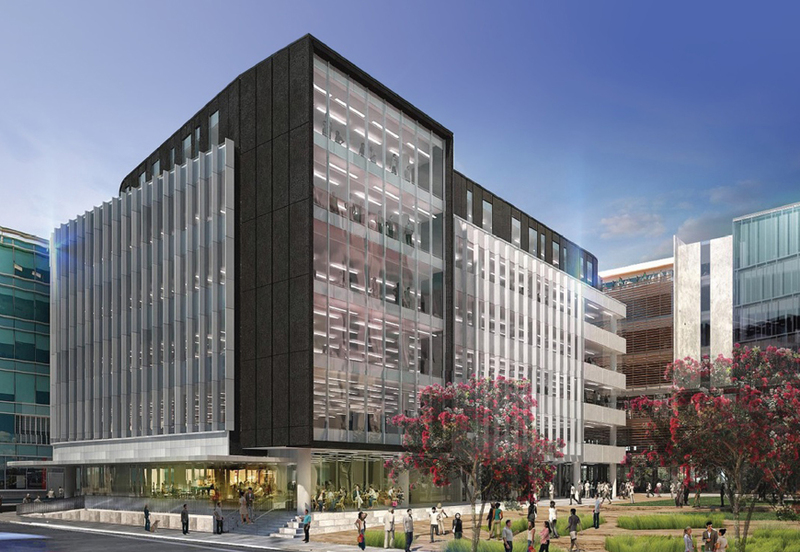 Bayleys will occupy 3525sq meter office space which enables them to be the anchor tenant at this building. This newly built development is constructed to NABERS NZ standards and has a 5 Green Star rating with sustainable design principals that has been incorporated with high performance glazing and insulation to reduce heat transfer and energy use. This building now also hosts Platform Consulting office and Augusta Capital. Working with Platform consulting the Project Managers & Yellow 6 the Designers and Singer Electrical the contractor, CMS supplied various softwiring solutions & cabling to compliment the work-station, conference rooms & collaborative spaces. Products such as Flip In-desk modules, KonexUS & Quad power rails were used to deliver compact and concealed power, data & AV needs. Apollo floorboxes were used for concealed and easy access of power throughout the premises.